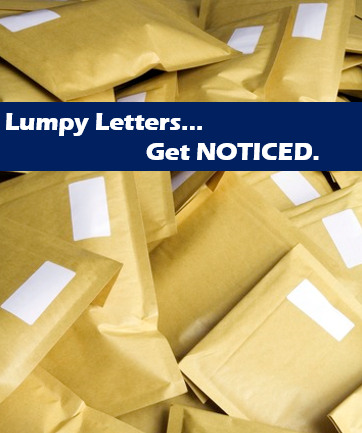 Why Use “Lumpy Letters” in Your Real Estate Recruiting? 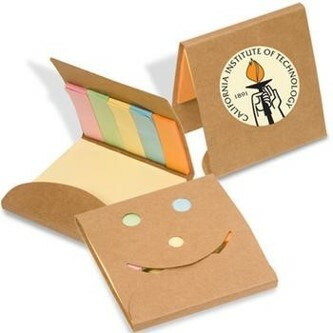 Lumpy letters are a great way to get your correspondence to potential recruits OPENED, NOTICED and TALKED about because they are different, stand out, and include something in the envelope that is bulky so it piques the curiosity of the agent and makes them want to OPEN it to see what’s inside. Each month, we deliver up new lumpy letter ideas for members to try. We get really creative with these and brokers love them because they are fun to use, but even more so because they get RESULTS. They are a great way to have agents buzzing about YOUR creativity, sharing that information with their fellow agents and helping you position yourself to be the broker to call when they are ready to make a move! Every month you get at least TWO or THREE lumpy letters to send to your recruiting hit list. At the bottom of each letter, we share a link or suggestion for where you can purchase the ‘gift’ or token that you will send each month to your recruits. The gifts are always inexpensive but are always creative, fun, and attention-capturing. Order the item, or head to a local store to acquire the number of gifts you want to send for the month. Get padded large mailing envelopes big enough for your item. Copy and paste your message onto letterhead or into a card. Create your list of the top 10-50 agents you’d like to connect with in the next 30 days. Address and mail to your VIP hit list. Follow up with a call just to touch base, and use the fun lumpy letter as an ice-breaker for the conversation. Staying positioned in the minds of the agents in a market is a critical priority for brokers looking to grow their team with the right people in the right time. Lumpy Letters are a great way to help them do that. It’s so good to see agents who project so much positivity in our market. Agents just like you who are crushing it – hitting goals and setting new ones. Setting great examples for others. Being the best of the best for their clients. I’m around if you need anything. Until then – keep smiling! Our Profitable Recruiter Members tell us this is some of the most enjoyable parts of recruiting. Picking out which lumpy letters to send each month and to who. They love the calls they get from agents, some laughing and appreciative, some genuinely grateful for the personalized attention and out-of-the-box ideas. They also love how it creates opportunities to stand out in a market place as a broker who not only gets the job done – but appreciates the “little things” that differentiate and make people feel valued and special. The key to making recruiting easier – and even more fun is to dare to be different. To set yourself apart from your competitors. Our members tell us that we make that so much simpler by providing the creative how-to’s each and every month so they can focus on getting face to face with new recruiting prospects. Every month they can choose from new lumpy letters (for top rung recruits), seasonal letters (for B & C lists), and they stay positioned with all of their recruiting lists by using their Monday Morning Wake Up Call eNewsletters and social media tools. Then they use the training they get from the 7+ hours of audio training and 35+ webinars on demand to feel confident, competent and ready for anything when they have that recruit on the phone or in an interview. You can too! Join today and take advantage of our special offer of 35% off with the promo code PLAN35 any 6-month or annual membership. Want to learn more about Lumpy Letters or The Profitable Recruiter Resources we offer each month? Contact us today at 1-866-234-8740! This entry was posted in Broker Recruiting Resources, How to Be a Profitable Recruiter, Lumpy Letters, Real Estate Recruiting, Real Estate Recruiting Coach, Real Estate Retention. Bookmark the permalink.